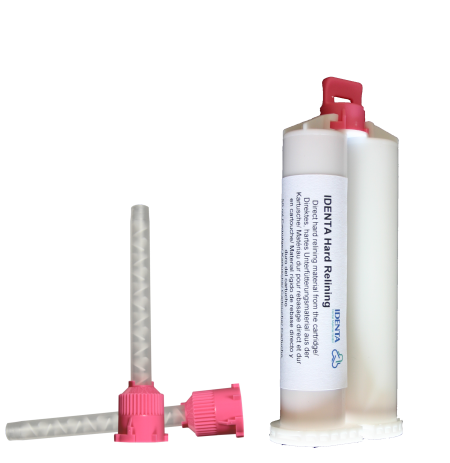 IDENTA Hard Relining is a cold-curing permanently hard relining material for denture relinings. It is simple and quick to use for direct as well as indirect relinings. 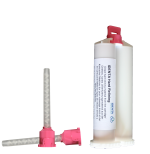 IDENTA Hard Relining contains no methylmethacrylates, thus minimising the risk of allergies and irritations of the mucosa. The set additionally contains a conditioner to achieve a permanent and stable bond.